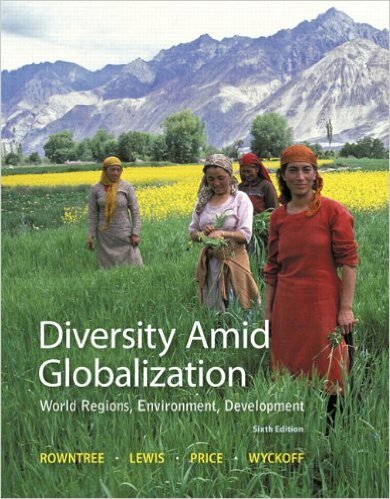 In responding to a recent GeoCurrents post comparing electoral geography in Minnesota and northern California, commentator Barzai makes some important points about ethnicity and national background. As he notes, people of Scandinavian and German descent are a much more significant factor in Minnesota than in California. 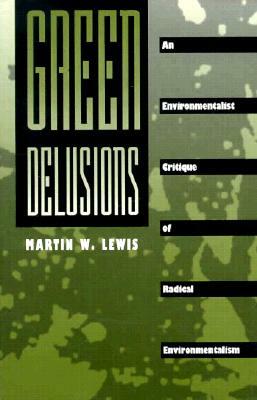 More importantly, he argues that the concept of a monolithic “White” population is challenged by such differences in national origin. These are significant points, but the actual patterns of voting behavior and national origin in the U.S. are more complicated than one might think. 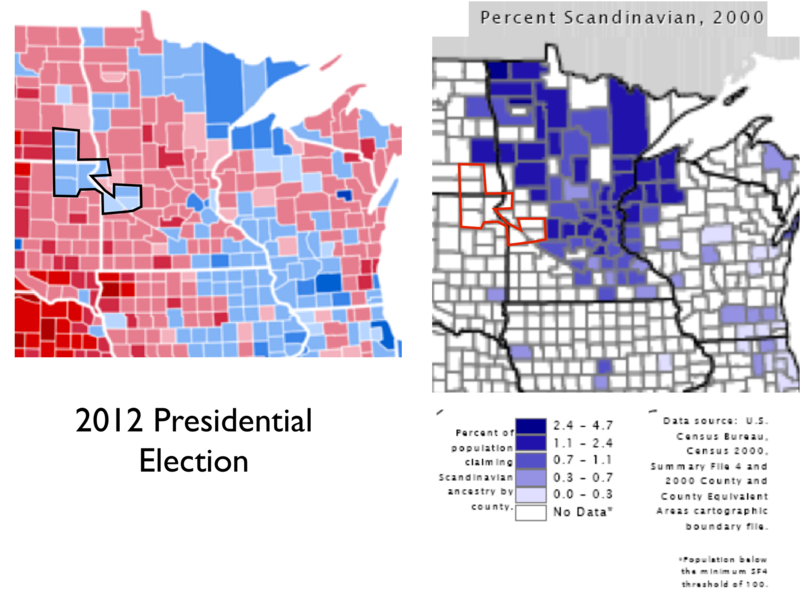 It is certainly true that people of Scandinavian background are disproportionally concentrated in Democratic-voting Minnesota, as the first map indicates. Some other areas of Scandinavian settlement are also relatively liberal, such as Western Washington. 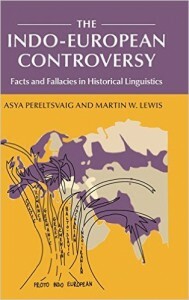 Utah forms an intriguing exception, as it is a highly conservative state with a substantial Scandinavian population, but in this case conversion into the politically conservative Mormon Church (Church of Jesus Christ and Latter Day Saints) has been a more influential factor. But more serious problems in the linkage between Scandinavian heritage and Democratic-Party-voting are also encountered, First, even in Minnesota the percentage of the population that claims Scandinavian background is not all that high. 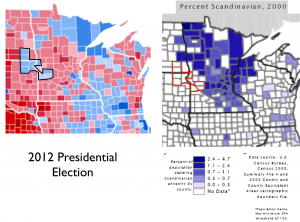 Second, some of the most Democratic-Party-voting counties in Minnesota and neighboring states do not seem to be heavily Scandinavian. To show this, I have outlined several mostly rural counties in western Minnesota and eastern North and South Dakota that voted for Barack Obama in 2012 and that generally swing left in national elections. 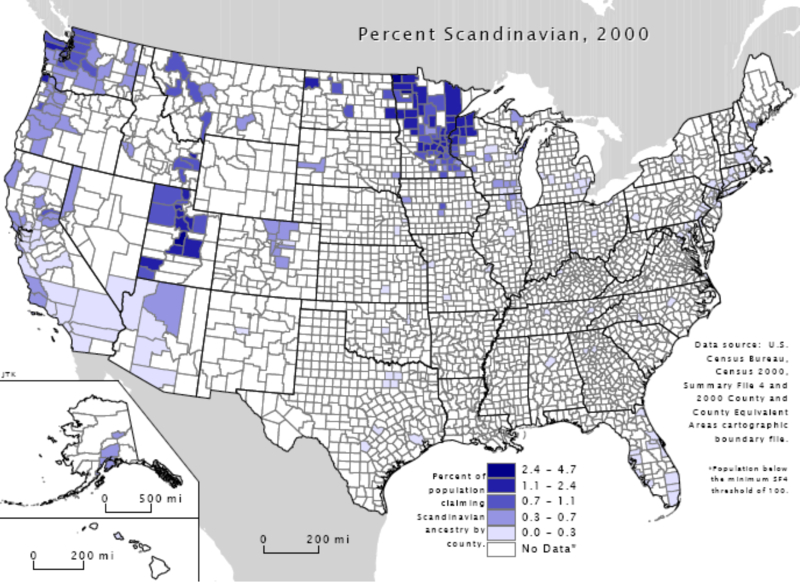 Yet neither here nor in the generally Democratic-voting areas of southwestern Wisconsin, northeastern Iowa, and northwestern Illinois does one find—according to this map—Scandinavian concentrations. All of this follows, however, only if this map of “Scandinavian-Americans” is reasonably accurate. 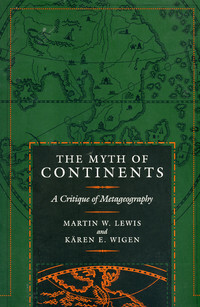 But it may not be; so much intermarriage has occurred since the wave of northern European migration washed over the Midwest that such numbers are difficult to establish. 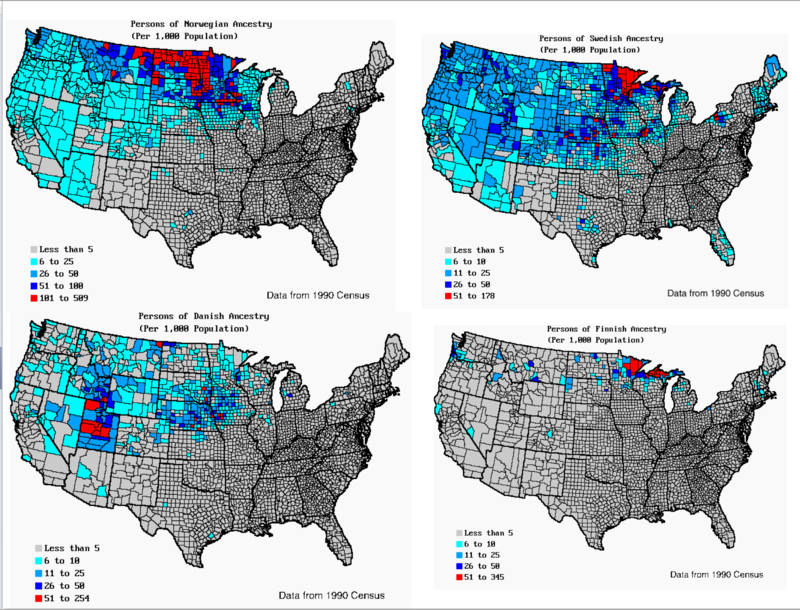 Individual maps showing the concentrations of Swedish-, Norwegian-, and Danish-Americans, derived from 1990 census data show substantially different patterns. (I have also included a map of Finnish-Americans; although Finland is not technically a Scandinavian country, it is a fellow Nordic country.) 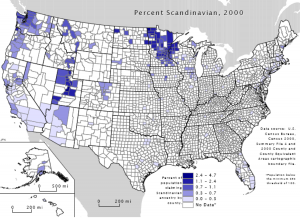 Here the Swedish map and especially the map showing Norwegian-Americans do show major settlement in many of the more left-voting rural counties of the upper Midwest. But they also show concentrations in more conservative areas, such as North Dakota, western Iowa, and Nebraska, the latter being an especially Republican-oriented place. 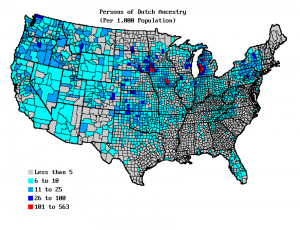 Danish-Americans actually tend to be concentrated in conservative areas, although again much of this is linked to heavy Danish recruitment by the Mormon Church. Northeastern Minnesota—the most reliably Democratic-voting White, non-metropolitan part of the country—is in contrast heavily Swedish and especially Finnish. But the same ethnic mix is found in the Upper Peninsula of Michigan, which has many habitually Republican-voting counties. 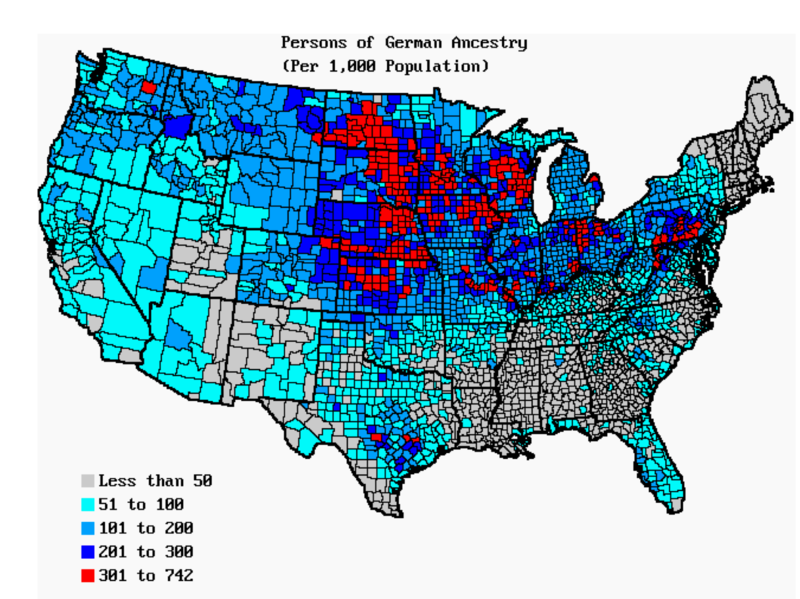 German ancestry is much more widespread in the United States than Scandinavian ancestry, as can be seen by comparing the key to the map posted to the left with the keys of the maps posted above. 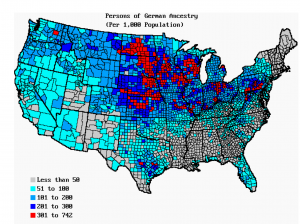 German settlement was pronounced across most areas of the Midwest, but there seem to be few if any correlations between the strength of German settlement and modern voting behavior. Ottawa County is a stronghold of the Republican Party. The last Democratic Party candidate to carry the county was George B. McClellan in 1864. 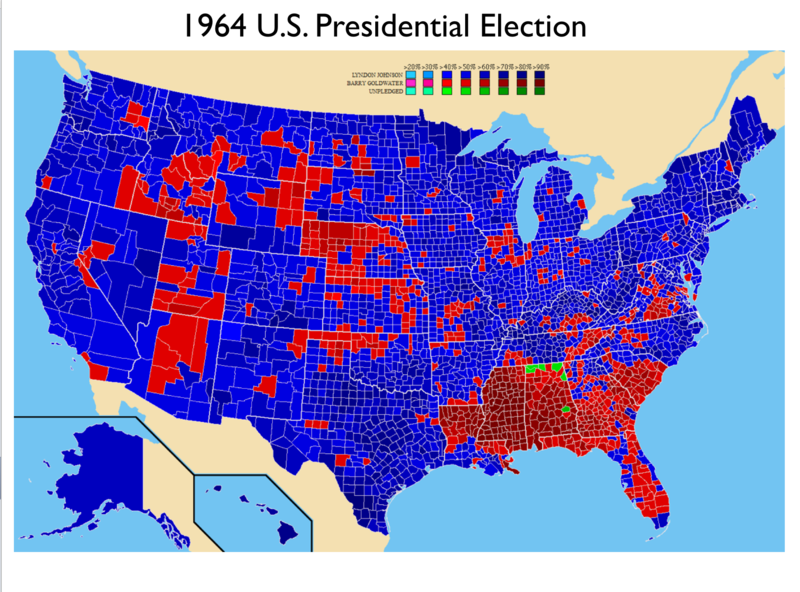 Both Ottawa County and a cluster of counties in northwestern Iowa clearly stand out on the 1964 U.S. presidential election map. In this pivotal contest, these counties supported the staunchly conservative candidate Barry Goldwater, unlike most other parts of Iowa and Michigan. What I find especially interesting in this map, however, is the fact that a number of counties in northeastern Illinois—which is now a generally Democratic-voting area—also supported Goldwater. Such patterns obviously call for more research, but I must now move on to other issues.